Where Roots And Wings Entwine: Saying goodbye to the SnüzPod. Saying goodbye to the SnüzPod. Unfortunately a little while ago the time arrived when we had to say goodbye to the SnüzPod. The SnüzPod by Snüz was heavenly and well loved. Thanks to The Little Green Sheep we enjoyed a blissful 6 months of safe co-sleeping with our baby. As I loved the SnüzPod so much I must admit I am finding it a little hard that we cannot use it any longer. Whilst we have set up Jelly Bean in his own cot passed down from his big brother to make the transition a little easier for me I would love the following items from my own nursery wish list.........having things you love and have lusted after for ages always helps right? Whilst one could argue that the cot that Jelly Bean has now is more than adequate as I have loved Cosatto from afar for many years now I would be over the moon to own a little piece of Cosatto. Being just as lovely as the Cosatto pushchairs I adore is their cot beds as such having one for my beautiful baby boy to sleep in is top of my wish list. Both of Cosatto's cot beds are equally lovely, and whilst I love the vibrant red of the Babushka cot bed the gorgeous owl design on the Owlet cot bed is so lovely I want it badly! The cot bed would be the perfect splash of colour to Jelly Bean's space and a comfortable place for him to rest his head as he visits dreamland. The beauty of the Cosatto Story Cot Bed is that they it is a 3-in-1 cot bed that grows with little ones from cot to junior bed to sofa. Plus the storage draw would always come in handy for storing things out of site. 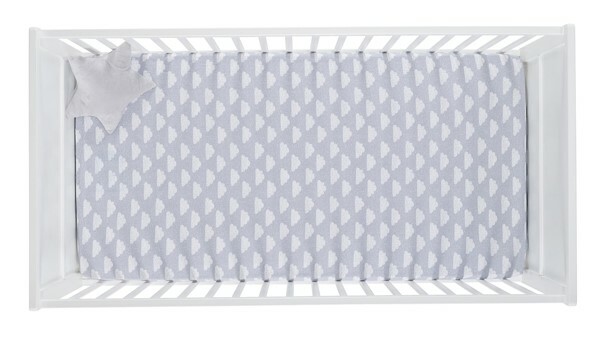 As we loved the SnüzPod so much and adore the Designz bedding we recently had for it I would love to get some Designz bedding from The Little Green Sheep website for his cot. 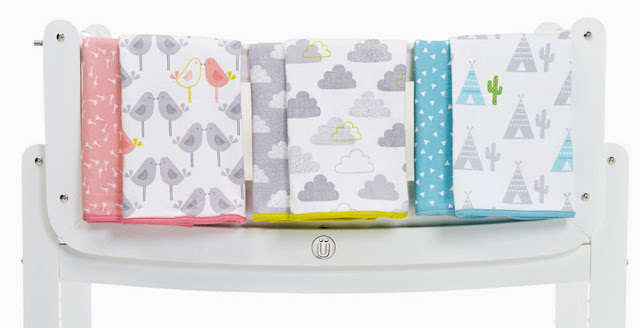 Having Cloud Nine cot/cot bed sheets to go with the much-loved Cloud Nine blanket that Jelly Bean loves (nearly as much as I do!) would give his cot a touch of Snüz loveliness that we are missing so very dearly now that the SnüzPod is not in use. 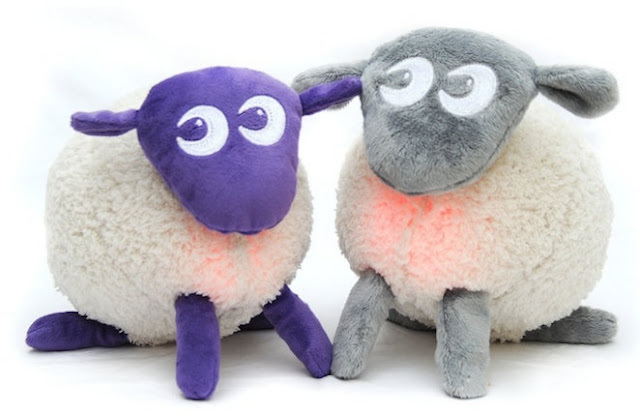 As Jelly Bean loves his cuddly friends so much and adores lights and sounds I would love to get him ewan the dream sheep®. In the day he could play with and enjoy cuddles with his new friend then at night his new friend could hang from his cot bars to soothe him into sleep thanks to the soothing pink glow he emits and the soothing sounds he whispers. Not to leave Bug feeling left out with Jelly Bean's sleep space getting a makeover I would treat him to ewan's pal Russell® so that he also has a cute, cuddly and comforting friend for bedtimes. As we have been very impressed with the lovely toTs by smarTrike super soft comforter that Jelly Bean was treated to I am also keen to get some bedding from the range. In the toTs range of bedding there are a number of beautiful designs that I love, with the Hippo bedding being my favourite. I love the cute Hippo design and the vibrant colours on the bedding. I also love the vibrant blue of the Joy Knitted Blanket in blue available from the range of toTs by smarTrike at Smyths Toys. Hopefully with a few lovely new things to make bedtimes blissful with help us get over not having the SnüzPod.......and if the loss of the SnüzPod in my life gets too much I will have to persuade Lee to try for another little baby to snooze softly in it next to my bed once again. 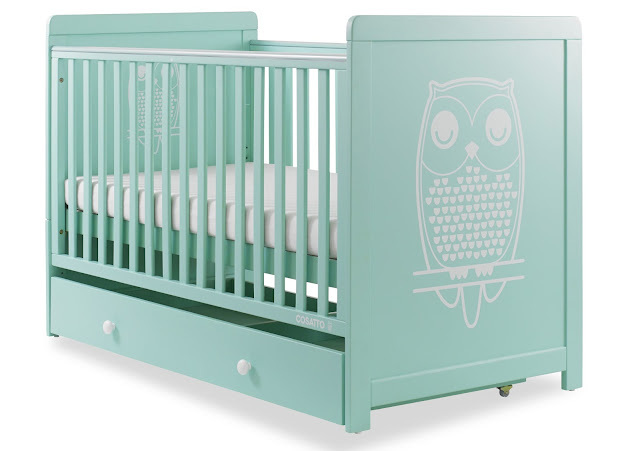 I love this cossatto cot its adorable with the owl design and such a lovely color. I've heard great things about the snuzpod we never had one with Blake we just used a Moses basket but I do like the look of it. 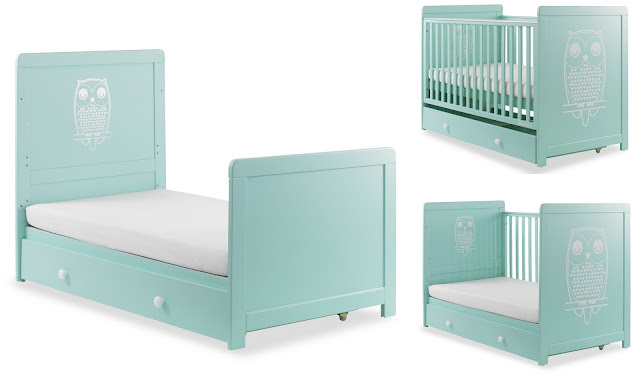 the cosatto cot is lovely - the owl bedding is so cute!